The Nosivska AH cares about creating decent conditions for medical workers and doctors. According to the Chernihiv Local Government Development Centre, established with the support of the U-LEAD with Europe Programme, in November the married couple of doctors – Oleksandr and Yana Shevtsovs – received a housing, purchased at the expense of the city budget of the Nosivska amalgamated hromada. 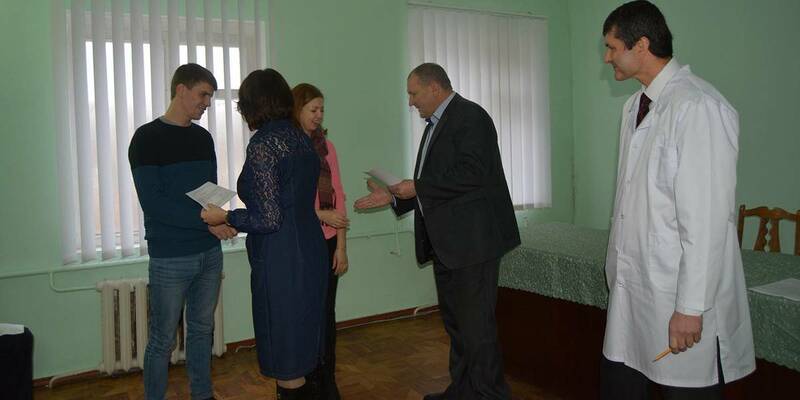 The family received the documents from Nosivka mayor Volodymyr Ihnatchenko and Victoria Vershnyak, head of the Rayon State Administration.